If you loved the story of Ralphie and his red ryder b-b gun in A Christmas Story, then you’ll love this other Christmas classic by Bob Clark. In Black Christmas, the Pi Kappa Sigma Sorority receives a strange and obscene phone calls during their Christmas party right before Christmas break. The reactions to the phone call range from disgust and offence to amusement. Barb played by Margo Kidder fires back her own obscenities in return, to which the phone call ends with a sobering “I’m going to kill you”. The faceless killer, which can be described most accurately as a maniac, then stalks and kills several inhabitants of Pi Kappa Sigma. The sorority tries to get the police to take them seriously when they can’t find a missing sister, but the police don’t take any action until a dead body shows up in the park. There’s also a relationship storyline that you won’t care about. It was definitely the first “holiday” horror movie though. With all these interesting first’s you would think that this would be great movie, but the sum is lesser than it’s parts and it ends up being rather dull. It’s not gory enough to satisfy the slasher connoisseur, and it’s not dreadful enough to be a great psychological horror; it’s just…ok at both. It’s dark and has a cinema verite feel to it, but it undercuts itself with clumsy attempts at humor. There are some things that work, mainly the phone calls and the cinematic treatment of the killer, but the main plot and the characters are just meh. 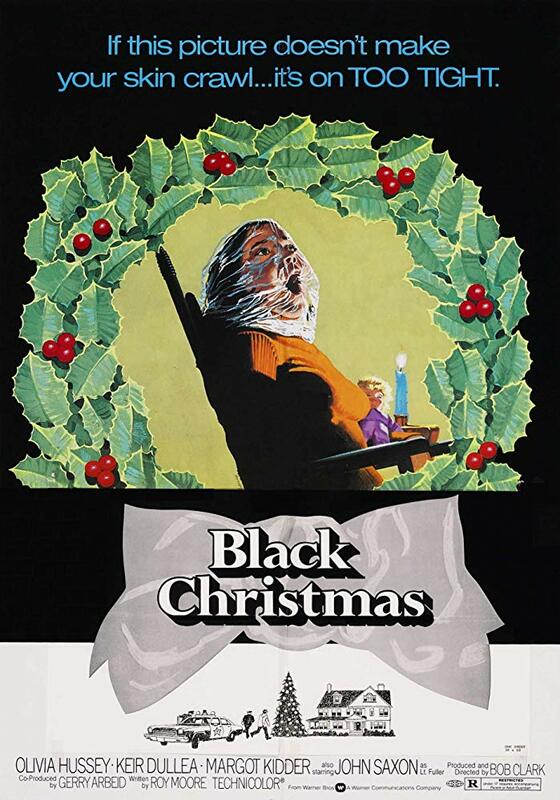 Black Christmas can be found streaming on Shudder right now. If you don’t have a shudder account, use promo code HMT at checkout to get a 30 day free trial. You can also find it on DVD or Blu-ray at Amazon. Be sure to click through the link on our website to support the show. You would expect a spoiler to be who the killer was, but in this movie, that is never revealed. The killer is presented as pretty much a crazy person that wandered into their attic off the street. In fact the killer’s face is never shown. It is easy to see how Halloween was originally written as a sequel to Black Christmas. I guess one spoiler is that the killer is calling from inside the house, but given that you are shown that the killer is lying in wait in the attic the whole time, this doesn’t come as much of a surprise. Overall this was a pretty straightforward film. A killer kills off sorority girls, and more! Is Black Christmas Worth Seeing? Your mileage may vary, full disclosure, I was pretty tired when watching this one, so the 70’s pacing probably wore on me more than normal. The best part of the movie is the killer’s phone calls, but those may be best experienced in clip form so you don’t have to sit through the melodrama of the story line. However, if you are a horror academic and want to see an influential movie, this is a good choice for the holiday season.